Adventures are waiting for you in simulator! 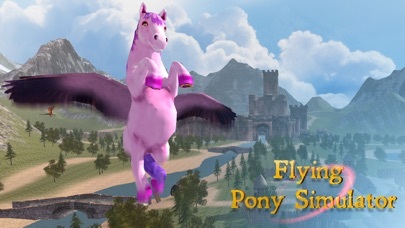 Even nice animals can be dangerous in the flying pony simulator. 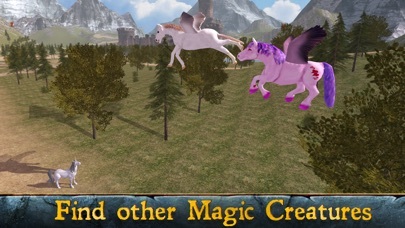 Get your own flying pony and fly above the magic world. It is full of dangerous places and animals. Be brave! Sneak into very dark corners. 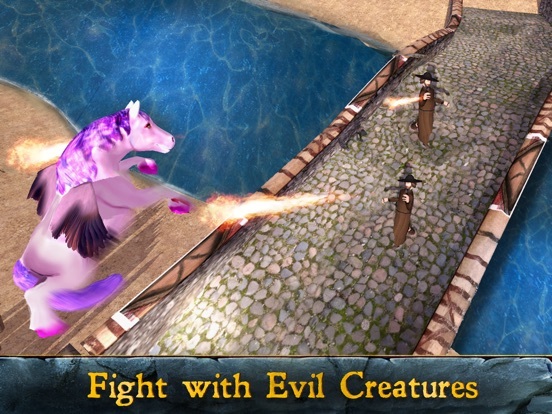 Feel the atmosphere of magic world inhabited by wizards, ponies and unicorns! 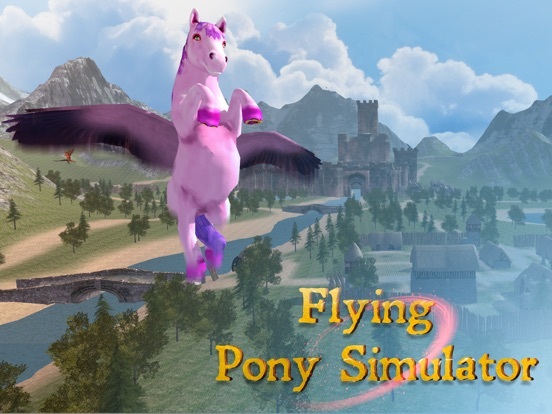 Try how to be a flying horse in our animal simulator! 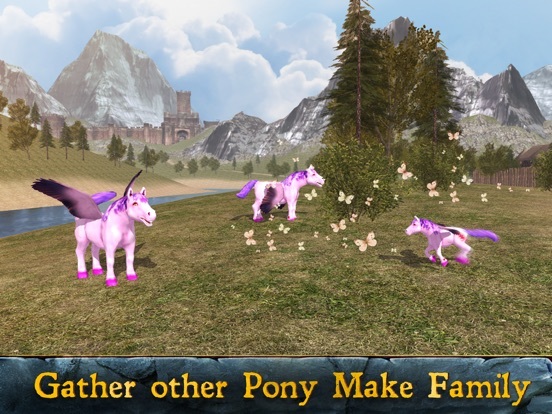 You can even start a pony family and fight together. But survival is not easy - create a strategy how to support your horse. So, we offer you your own flying animal, that you can feed, ride and play with! 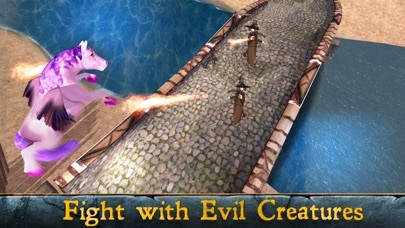 Turn into beautiful pony and start adventures: fight with wizards and dragons, look for treasures and magic flowers. 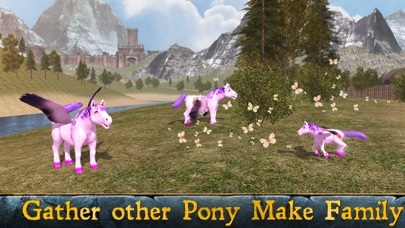 Upgrade your animal and finish all quests - in the pony simulator they can be challenging. Learn how to ride a flying pony and spend all day in magic kingdom! This pony simulator has a map and a guide. Read how to ride your animal, find magic places and many other things. Ride your horse and listen to the magic sounds of forest, farms and rivers. We love animals! Especially flying horses. And did our best to make pony simulator. Why flying pony? It is more than horse. It is magic mysterious animal. Do it - deep into magic horse life and survival. Never played flying animal simulator games? Hold your horse! Try our simulator right now. 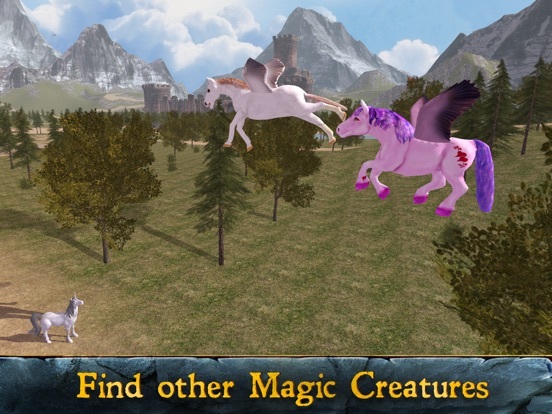 Try Flying Pony: Small Horse Simulator 3D and get more than game - get an animal friend in your smartphone.